"Club" is a generic term with numerous meanings, and the applications for the top level domain .club are just as limitless. Since .club landed in 2014, it’s remained popular owing to its openness for interpretation. It can serve as the perfect home for like-minded people to learn new skills and exchange ideas. You could use it for your chess club, tennis club, or foreign language club website, for example. It’s also a fitting extension for community event spaces, nightclubs and VIP associations. 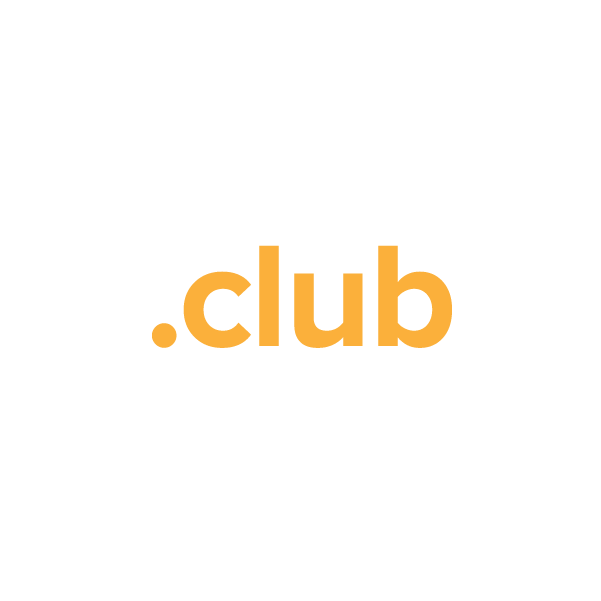 Given the universal appeal of .club, domains with this extension are being snapped up. Prominent individuals such as basketball player Tyler Johnson, rapper 50 Cent, and Indian cricket star Virat Kohli use the .club domain for their web presence. As you can see, there are endless possibilities for a .club domain. Why buy a .club domain name? The .club TLD was made available to the general public in May 2014. In just under three weeks of general availability, more than 60,000 new .club domains had been registered. This propelled .club to the #1 selling new web domain extension, giving the TLD global recognition. With such hype surrounding the .club TLD, there’s never been a better to time to snap up this lucrative extension. Look no further than Namecheap when you buy a domain name. With us as your registrar, you don’t just get a domain. We include URL and email forwarding, WhoisGuard privacy protection, and dynamic DNS support, all absolutely free. To top it off, our support team is the best in the industry, and they’re ready to help you make a success of your .club domain. Don’t hesitate—register today!